This peak is located about a mile north of Buck Mountain . Climb this peak from Buck Peak via the connecting ridge. 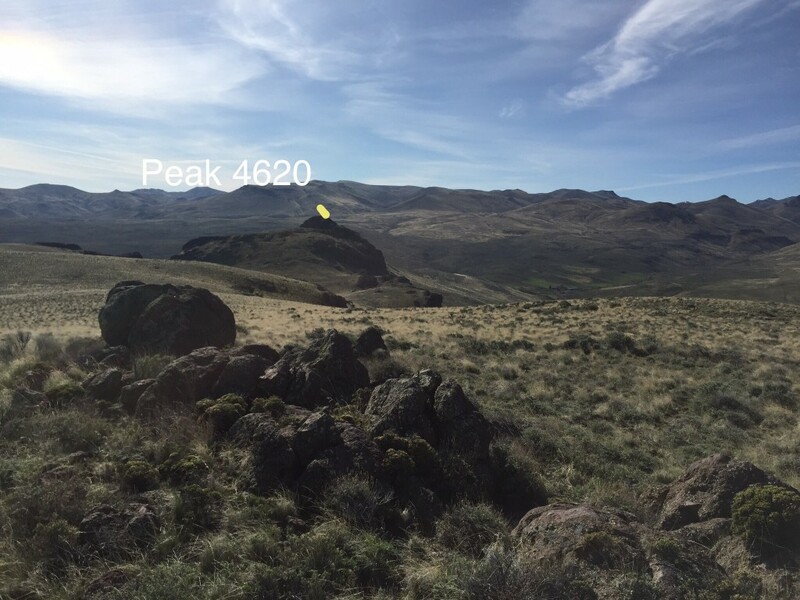 From the low point between the two peaks it is a 320 foot climb to the summit. 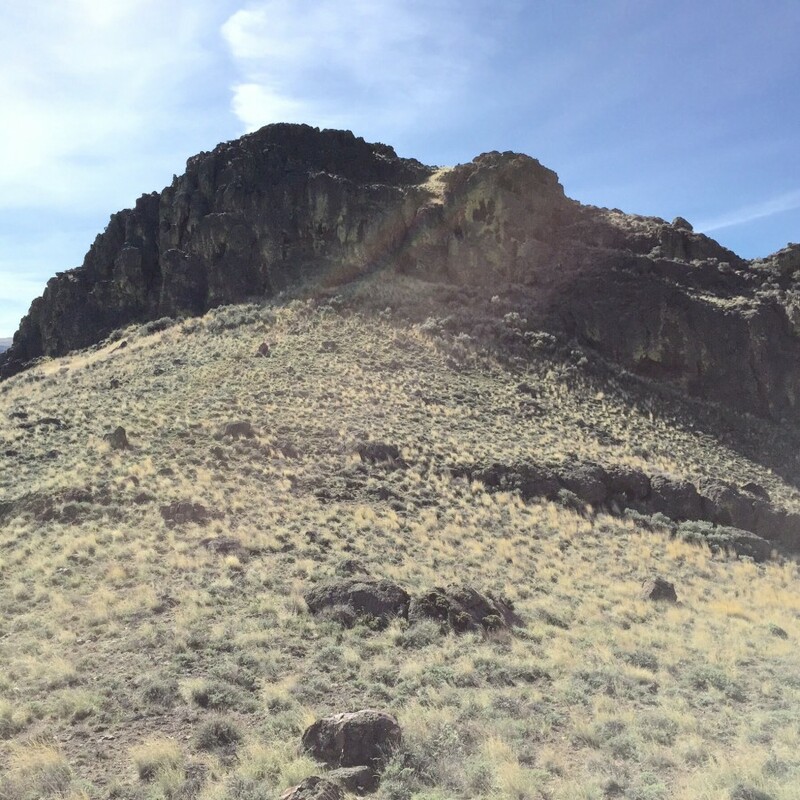 This peak has a distinctive summit block composed of fairly sturdy volcanic rock. The summit block is a Class 3 climb. 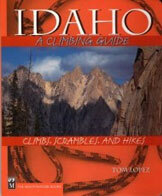 I climbed it by following its base to the west until I found a couple of easy steps that lead over the wall. 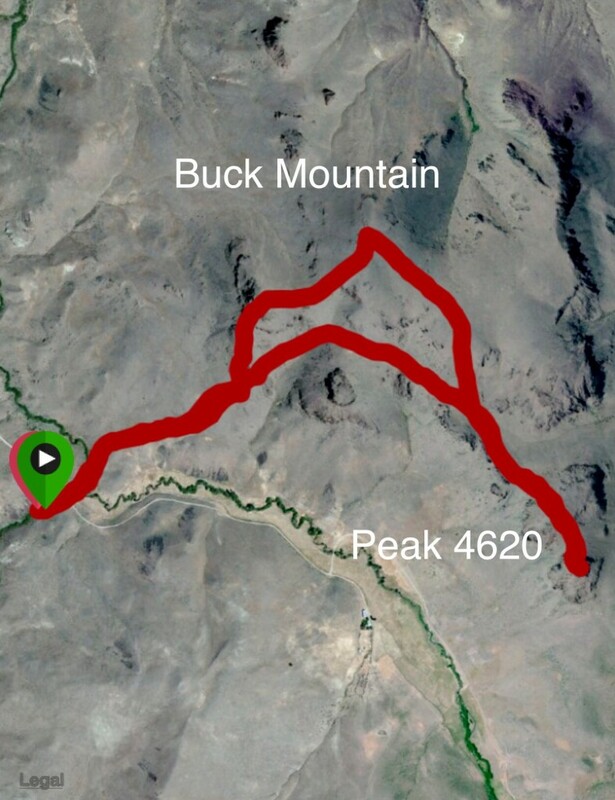 See the Buck Mountain page for directions and additional information. The summit block of Peak 4620 from the north. 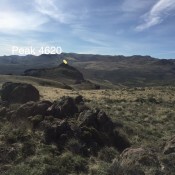 Peak 4620 viewed from the summit of Buck Mountain with higher Owyhee Mountain terrain rising behind it. My GPS a track for Buck Mountain and Peak 4620.